I get emails all the time from readers asking whether they should apply for the Premier Rewards Gold Card from American Express or The Platinum Card® from American Express. That’s always a tough question to answer, because despite the fact that they’re issued by the same company, they have virtually zero overlap in terms of what they offer. I find both cards to be among the most valuable out there, but for exactly the opposite reasons. At the end of the day the Premier Rewards Gold card is all about the rewards, and that’s in the form of points. I don’t remember the last time I “got” anything from the card other than points. Conversely, the Platinum Card is all about the benefits. While the annual fee is steep at $550 (Rates & Fees), I have no problem paying it thanks to the benefits that come with the card. But here’s the kicker: I don’t remember the last time I charged even a dollar to the card. The Platinum Card offers a flat point per dollar, with the exception of airfare purchases, so it’s not at all rewarding in terms of points. So yeah, I pay a $550 annual fee for a credit card I don’t even use for purchases… but it makes perfect sense! So why do I gladly renew each card year after year? The Premier Rewards Gold card comes with a $195 annual fee (waived the first year), and for that I get the most rewarding card out there for the categories in which they have bonuses — triple points on airfare and double points on US restaurants, US gas stations and at US supermarkets. The next best card for that spend amount would be the Chase Sapphire Preferred® Card, which would earn me two points per dollar on travel and dining. Anyway, for gas, groceries, and airfare, this is my go to card. If you don’t spend as much on credit cards as I do (like I said, I have a lot of reimbursable expenses) the card might not justify the annual fee, but in my case it does. While the value of Membership Rewards points has depreciated over the past year or so, I actually have a new appreciation for the value of them now that they can be efficiently redeemed on Singapore Airlines, especially after my flight on them a couple of days ago. A $200 annual airline fee credit, which anecdotal evidence suggests can be used to purchase gift cards with most airlines. I value a $200 American Airlines gift card at close to face value, so that basically lowers the annual fee to $250. Even better if you’re considering the card is that the credit is based on calendar years, so with your first year’s annual fee you can really pick up the fee credit twice, essentially bringing down the annual fee for the first year to $50. Lounge access with Delta, Priority Pass, and others. Having access to over 600 lounges worldwide is huge for me, particularly when traveling through smaller airports that only have contract lounges. Global Entry fee credit. While this only applies once every five years, the Platinum card will reimburse you for your Global Entry enrollment fee, which is usually $100. I don’t know how I lived without Global Entry, because it literally revolutionizes international travel, in my opinion. Fine Hotels & Resorts. American Express has an exclusive hotel program for their Platinum and Centurion card members whichgets them room upgrades, guaranteed 4PM late check-out, free breakfast, and an added amenity (usually a $100 food and beverage credit) when staying at select luxury hotels. I never thought it would be a benefit since Virtuoso is a similar program that doesn’t require membership (you just need to find a Virtuoso travel agent), though I’ve made over a handful of bookings this year through Fine Hotels & Resorts. Why? Some hotels belong to Fine Hotels & Resorts but not to Virtuoso, like the Westin Frankfurt, Le Meridien San Francisco, and St. Regis Bangkok, just to name a few. Furthermore, American Express has the exclusive rights to guaranteed 4PM late check-out at the hotels that belong to their program, so you don’t get that through Virtuoso. So in many cases it does work out better, and for me it’s a benefit I’d actually pay money for. Add up to three additional card members for $175. I think this is the only card where paying $175 to add three additional card members is considered a good deal. But for that price each person gets all of the above, with the exception of the airline fee credit. So for $725 per year you’re looking at one of the best lounge access programs for four people. You really can’t beat that. I have a lot clients that have the The Platinum Card from American Express thinking it’s the best card out there for earning points, given the annual fee. If it’s points they’re after I always advise them to downgrade to the Premier Rewards Gold card, while if they enjoy the benefits of the Platinum Card I always advise them to get the Premier Rewards Gold card in addition. Many get angry that American Express doesn’t offer the “best of both worlds” with such an expensive annual fee on the Platinum Card, though I see where American Express is coming from. They’re segmenting the market into those most interested in rewards and those most interested in benefits, and if someone likes both they can always have both cards. But while the annual fee is high on the Platinum Card, I still consider it to be a great value, and I certainly see why American Express doesn’t want to add more points earning opportunities to the card without raising the annual fee. Then again, maybe it’s time for a Premier Platinum Rewards card from American Express, that offers everything? Lastly, keep in mind that both the Premier Rewards Gold card and The Platinum Card are charge cards as opposed to credit cards, meaning you have to pay your balance in full every month. As a result, I’ve always found both cards to be easy to be approved for, especially the Premier Rewards Gold card. I even had an 18 year old reader with no credit history email me last week to let me know he got approved for the Premier Rewards Gold card. Yikes, Scooby! The best available offer on the Premier Rewards Gold card can be found here. The best available offer on The Platinum Card is here. I’ve seen better welcome bonus offers on the Platinum Card in the past, though it has been a long time since I’ve seen a better offer on the Premier Rewards Gold card. If either of the above links doesn’t work (AmEx links can be screwy at times), try a different browser and make sure you’re logged out of your American Express account and it should work. I gotta think this one through now. You always have such good advice! I just wanted to throw out that for airfare purchases, the PenFed Premium Rewards Amex offers a much better program than the Amex Gold… They pay 5 points per dollar for airfare, which redeem at 1 cent for gift cards or non-air travel or 1.25 cents for airfare… resulting in 6.25% return if you redeem on airfare or 5% otherwise. No annual fee either, so it makes a good complement card, especially for consultants or others booking a ton of airfare. Great post! I’m curious if you charge airlines fees and surcharges (like with BA or Virgin) to the Amex Gold, if that counts as ‘triple airfare’ points? Or do you have to be purchasing actual airfare and not ‘taxes and surcharges’ from the airline? @Nate- I don’t think that the PenFed Amex card gives you Amex Membership Rewards Pts. I believe it’s “PenFed Premium Rewards program”. Not a very good program if you want to redeem for int’l first or bus. cl tickets. Correct me if I’m wrong. @John – Depends on your mile redemption valuation. $20K spend on PenFed = $1,250 airfare. Amex = 60,000 points + $175 fee per year. At 30k spend, the 15,000 point bonus is nice, but since it doesn’t scale there are diminishing returns for every $ over 30K. 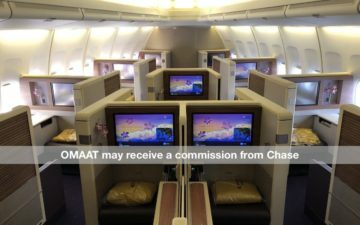 Depending on saver award availability, int’l bus class is possible with the Amex, I agree with you there… If that’s a priority (and is realistic) I have no doubt that it can make sense. Personally, I’d rather have the flexibility of the PenFed, especially since I’m still earning miles in the air through purchased and redeemed airfare as well as through Sapphire Preferred. My Amex gold card’s annual fee is due in July this year. If I dont want to keep the card, which card can I downgrade to in order to keep the points?? When I go to this link (from TPG blog by the way) I get an offer for a 50,000 MR AMEX Plat card from Mercedes Benz… It looks like it is similar to the normal Plat card, (but no $200 annual travel credit?) with a couple of MB benefits too. You say that you spend a ton on airfare each year, and that most of it is reimbursable…your clients that you book award tickets for aren’t gullible enough to actually let you pay for their taxes and fees, and then reimburse you (as opposed to them giving you their credit card number so they get the points themselves), are they?! Lucky, great post. I’ve had the Platinum card for a while and agree that it’s well worth the annual fee. It pays for itself with access to just one airline lounge, let alone 3, as well as all the int’l ones via Priority Pass. Just got the Premier Rewards Gold, and will use that for airfare. The two together are definitely a great combination. do they actually scan the platinum card when you use it for lounge access? i’m thinking of cancelling it and i’m wondering if i could still use it..
@emily. I used to use it at the CO clubs and they scanned it. @Lucky: One of the less touted benefits of Plat is medical concierge service. Twice now (in 15 yrs) I’ve gotten really sick while traveling. Once in LA (I live in PA) and once in Utrecht, Holland. It starts with a physician’s assistant on a phone call and escalates from there if needed. I consider it a form of insurance (peace of mind for my wife, too). I also get great value off the facebook and twitter promos. I’ve received $100/mo. in rebates from those alone. @Lucky/Ben; one AMX-P bennie you missed but we find the most lucrative is the cruise benefit. If you own the AMX-P card and pay for a cruise on one of the lines that particpates (Silversea, Seabourn, Regent, Crystal, HAL, Oceania, et. al) you get at least a $300 SBC and with Silversea also a botlle of Dom. Thus, if you book just one SS cruise as a AMX-P cardholder your annual fee is about paid for. We book 2-3 cruises per year and get way more than the $450 annual fee back with this bennie alone. Add the $200 airline fee, global entry fee (we both have), lounge access and this card for cruisers is a winner. We alternate who gets the AMX-P per year to each take advantage of the sign up bonus (I got 50K in 2010, DW got 100K MR points in 2011 each year. @Coutureguy–I’m not saying Lucky is tricking anybody, as you suggest. I’m sure the options are crystal clear to his clients, absolutely. I’m moreso saying, are people really stupid enough to agree to let Lucky put their taxes and fees on his own credit card, allowing him to get points for something they’re paying for, as opposed to giving him their own credit card so they can get the points themselves? Unless Lucky is talking about “reimbursable spending” coming from somewhere else (the travel agent job?). @John–okay, forget points earning cards. I’ve had a no-fee credit card in my wallet for the last six or seven years that gets two percent cash back on travel, and used that extensively to save money before I got into the points game a little deeper. But anyway, that’s not my point. I’m just wondering if we’ve stumbled across Lucky’s secret for how he earns uber points each year–people who aren’t savvy with credit cards who allow him to pay the taxes and fees on their award tickets and reimburse him! This is nothing on Lucky (except kudos–good for you! ), just a revelation in my head that this is a plausible explanation for why Lucky just casually drops numbers (“I’m going to spend 30K on the BA Visa this year, 30K on the AMEX Gold card, etc”) that are just inconceivable to many of us who just have “normal” spending in a year. FYI, Ben, in the interest of full disclosure you probably should mention the MB deal (listed above) and the MSSB deal (which comes with an annual fee refund after $100k spend and gives you 50k signup points). Does anyone have experience using their international companion travel benefit? Customer service said it needed to be a “full fare” Business or First ticket and that you have to book it through them. I’m just curious about the availability of the free ticket… Can they get me the last 2 J/F seats on the plane? Or is the agreement such that the companion ticket is only going to be available if there are a lot of saver award seats left? Another benefit of the Platinum AMEX for those who cruise – many cruise lines offer onboard credit ($300ish) for passengers who have the card (cruise fare can be paid by any AMEX). We cruise once a year on average – which is one big reason why we have the card but never really use it for spending. It’s not hard to rack up spending on credit cards – my partner and I combined do about $80k annually on our credit cards. The T&C’s say the $200 credit is NOT valid on gift cards, but you note anecdotal evidence. Does anyone have any recent evidence of getting this credit on gift cards? Any particular airlines better than others (i.e. code these purchases differently)? Thanks! @ Andrew — There are a variety of sources through which I have reimbursable business expenses. Some of my clients prefer not to give me their credit card information, in which case I do offer to use my own. I then let them reimburse me via Paypal so they still earn points, and I end up “eating” the fee, so I don’t really come out ahead all that much, if at all. It’s more of a courtesy than anything else, especially given how often the airlines bill incorrectly, and that I end up having to get that fixed. @ brianna — Typically it’s not too hard to find the seats, though we’re talking about truly full fare tickets here, like the highest possible fare. In most instances you can find two discounted business class tickets for substantially less. @ mspswede — Yes, I purchased $200 worth of AA gift cards using my AmEx Plat a couple of months ago and the reimbursement posted. The key is to buy them in small increments (I usually do $50 increments, though $100 works as well) so that they look like fees. Some have even reported getting taxes on an award ticket refunded, since AmEx seems to just whether something is a fee based on how big the amount is. I actually cancelled the platinum card last year – just didn’t find it worth it anymore. The lounge access is nice *if* you find yourself in places with participating lounges, and I increasingly wasn’t (esp. now CO is out, and frankly in some airports the terminals are nicer than the lounges). Priority Pass added some but you still have to pay $18 for your guest. The airline credit has to be locked to a single airline for the whole year. And FHR often had pretty lousy rates even with the benefits. And amex’s online travel booking is truley woeful. i had a delta award flight with $320 or so in taxes. i messaged them and they applied the $200 to it. i was surprised since i was a bigger charge, but it worked no problem. @Andrew- Sorry if I misunderstood your post, however you used the word “gullible”, which by definition indicates trickery or being taken advantage of by someone else. So that’s why I inferred what I did. Again sorry if that wasn’t your meaning. @Brianna- There are no blackouts when using Amex Plat card to book tix, however as Lucky mentioned, the terms make it almost never worth it. I’ll give you an example: I’m trying to get two tix to the Seychelles, and finding it next to impossible using USAir or Delta miles, so I decided to call Amex Plat travel line to see what the cost would be using the ‘companion fare’ program. They quoted me somewhere around $21,000. I can buy a ticket outright for less than $5700, so two tix would be around $11,400. Therefore buying the tix on my own would save me about $10,000. So the Amex ‘companion’ program is often (if not mostly) a complete rip. any downside to getting the AmEx Plat for the bonus MR points and then cancel after a year; then apply for the Mercedes Benz Plat for the sign up bonus? @ Eric P — Not that I can think of. You should be able to earn both bonuses, so that’s a sound strategy, in my opinion. You mention that since this is a charge card, people with a low credit score have a chance of getting this card. I just applied for the gold card, and got denied, most likely due to the foreclosure i had a year ago. I make over 150k a year, should i even bother calling them for a reconsideration? Any advice appreciated. @ Tom — That’s a toughie. Have you checked your credit score lately? Chances are that if you had a foreclosure recently you won’t be approved for the card, sadly, and I doubt there’s all that much the reconsideration line can do. Following up – great news: I tried a $50 gift cert on UA, and the credit showed up about 3 days later! So, that’s at least two airlines (inlcuding AA) where you can buy a gift cert. I’m a happy guy, but I do wish that DL would enable gift cert purchase online, rather than in person. Welcome to the 1990’s! i know you’re saying both are useful, but i have to cancel one because i can’t afford both fees. any advice on which one to cancel? i don’t get a ton of use out of the lounge access and i already have the global entry. on the other hand, i live in toronto now so i can’t actually use the prg except on airfare. i also have 5k points coming to prg after the fee is due. any thoughts? If possible I’d like to get some bonus points if I decide to get the PRG. Is this practice enforced? I’d be much less interested in getting the card if I couldn’t get any bonus points. @ Jim — You absolutely do earn the bonus even if you’ve had the Platinum card before, as that’s most definitely not practically enforced. I’ve had tons of people apply for both and get the bonuses for both. Lucky, that new language was added within the past 2 weeks, no one currently knows if Amex changed their system and if they will be denying bonus points now if you’ve had the plat/prg within 12 months. How does the Global Entry reimbursement work? Do you just charge the fee to the card and it’s reimbursed? Or do you need to submit paperwork? @ Michael — You just charge it to the card and it’s automatically reimbursed. AMEX told me that you cannot own both a Platinum card and a Premier Rewards card on the same account. Does this mean that you can still own both but have to have separate online login ID’s/accounts? Or were they wrong in saying that entirely? I wanted to get both when I first signed onto Platinum and met this issue. Can anyone clarify this? They are lying to you. I’ve had both numerous times before. It’s been a while since any comments have been posted but I’ll try anyway. Why use Chase Sapphire for groceries when Amex Premier Gold offers 2X? how does the 50,000 membership points work? can I redeem it for cash or gift cards? @ Rafael — Absolutely, you can redeem the points for gift cards or on hotel or airline partners, which is typically a good value if you like traveling. Can i get plat card with additional premier reward gold card? So i could save fees. So only pay $40 for gold card plus $450 plat. @ Les — Nope, you have to apply for them separately and pay separate annual fees. Airline fee credit cannot be used for gift cards. @ Ed Johnson — In practice it can be if purchased in small increments. How did you purchase your AA gift cards? I’m wondering if I can buy them online to get them reimubursed. Same question for mspswede for buying UA gift cards. Thank you. @ Mark in MN — I purchased four $50 American gift cards through aa.com and they automatically credited. It should work for you too. Let me know if you have any questions. Thanks Lucky. I was thinking about trying my luck with US Air, but if I know it works with AA maybe I will go with them. Sorry, one more question. Did you buy them all at once, or one or two at a time? If you bought them one or two at a time, how far apart did you buy them? @ Mark in MN — All reports suggest the reimbursement works for US Airways gift cards as well. @ Mark in MN — I bought the $50 gift cards one after the other, all within a few minutes of each other. Ok Lucky, Thanks. I’m gonna give US Air a try. One benefit of the Amex Platinum card I have not seen mentioned here is the twenty percent points reimbursement if you purchase travel on Amex Travel with all or partial points. That beats double points for gas and groceries and triple points for airfare by quite a bit. @ Mark in MN — Keep in mind under normal circumstances you’re getting at most one cent per point of value out of the “pay with points” option, so even with the reimbursement it’s a maximum of 1.25 cents per point — doesn’t seem like that great of a deal to me compared to transferring points to one of their partner airlines. If I pay with points to purchase a $500 ticket (50,000 points), I would get 10,000 points back. That equals $100. Is it a better deal to transfer points to a partner airline? I’m new with the Platinum card and I’m also not an expert on frequent flyer programs. Starting February 01, 2013, American Express is discontinuing the Platinum card 20% Pay with Points for travel reimbursement when you book your travel with Amex Travel and pay with MR points. I have confirmed this with American Express customer service. Typically you can get better value for your points by converting them into miles in a partner program. For example, 100,000 points would get you a $1,250 ticket if using “pay with points” with the 20% rebate. 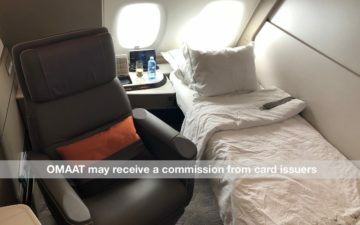 If you instead converted those points to Delta SkyMiles, you could book a business class ticket between the US and Europe, availability permitting. That’s a much better value, in my opinion. Stay tuned for my series on the best use of Membership Rewards points by region, which I’m working on right now. Has anyone had sucesses getting reimbursed for airline gift cards in the last month or so? I heard Amex has cracked down on it in the last few months. @ Mark in MN — It still works last I checked. Some credit card and travel websites are saying AMEX has started to crack down on reimbursing gift card fees, so I am just curious if anyone has not had them reimbursed lately. @ Mark in MN — If you see the American Express forum on FlyerTalk you’ll find the latest results from people. Ben – i’m got an Amex Premier invite that offers 50K pts after 1000 spend – do you have a referral link for that – I’d like this to be win / win. @ canuckinct — Thanks for asking! Unfortunately those invitation only offers aren’t part of the affiliate network. Again, really appreciate you asking, though! I read the offer for American Express Premier Rewards Gold Card and saw that if you already have the Platinum Card, you won’t get the 25,000 Membership Rewards points bonus. Why would American Express, though indirectly, discourage Platinum cardholders to apply for Premier Reward Gold cards? @ naoyuki — It doesn’t make sense to me either. Though in practice that doesn’t seem to be enforced. I applied for this card back in January for the intro bonus – I recently called to inquire about switching to a lower annual fee card (Gold or Green) and it turns out they’ll refund a prorated amount of the $450 annual fee. The benefits aren’t terribly valuable to me – we only take 1-2 vacations per year b/c of young kids and fly business class, so airline lounges aren’t an issue – the $200 travel credit would be nice, but I probably wouldn’t use the bulk of it. any reason not to take the $375 prorated annual fee refund and convert? Just wondering if I’m missing something. Thanks! @ Michael — Aside from the lounge access and $200 airline fee credit (which, keep in mind, can in many cases be used to purchase airline gift cards), also remember the Platinum card gets you access to American Express Fine Hotels & Resorts. I find the program to be valuable, but if you don’t, then I’d say you’re best off downgrading cards. First time poster here. I currently have the AMEX PRC. Thinking about the platinum card either in addtion or upgrade, but not even sure if it make sense for my situation. I travel by air abut 3 times a year on average. I live in Boston and nowadays most of my travel is on Jet Blue because domestically I want non-stop flights and Jet Blue has the most non-stop flight out of Logan. Jet Blue is in Terminal C with United so I could not use that lounge. I fly to FLA a lot and no lounges around Jet Blue gates there either. Gift cards don’t seem to work with Jet Blue but I always buy Extra Leg Room seats – so that reimbursement could work. I also like Starwood Hotels but when I go to San Juan in 2014 I will stay at the Marriott since it has a casino and a beach. (Starwoods have no beach in San Juan). For what its worth I also have about 180K miles with Delta from when they were a bigger presence in Boston. I also have just over $300K in MR points. (saving for some Int’l Business Class seats). If everything I just said made sense – would you still recommend me getting a Platinum Card? @ Keith — In your shoes I’d probably stick to the Premier Rewards Gold card, frankly. Doesn’t sound like you’d get much value out of the Platinum card. curious where the 25,000 points in first three months offers are? If they’re gone, should I wait until they come back before applying? @ John — They’re both still available. Do you not see them in the above links? Lucky – FYI, I’ve bought $200 gcs on United and have been reimbursed four times on 4 different Plats. Only one required a call to CS to get the reimbursement. Point is I didn’t need to buy 4 ea $50 gcs. My biggest thing is the forex fees on Amex. I love the PRG but live in Asia.. So, I’ve almost given up on the card and switched to csp. Amex is going to lose a lot of business over their outrageous forex charges. With the Platinum card now they have stopped allowing access to American and US Air lounges. Not sure why but that was one of the main reasons I got that card. Good to know that you can buy airline gift cards and get reimburesed. Hope that hasn’t changed. There is no foreign exchange fees with the Platinum card. Hey Lucky, I used the CardMatch tool on CC.com to find some special offers. Looks like AMEX is offering 50k and 100k offers for PRG and Platinum. Question for you: I have had a Premier Gold and Platinum in the past (I have Green card currently), but didn’t receive any point/bonuses when I signed up, so if I apply for one of these now, will I still get the points? @ Jake B. — The terms state you wouldn’t, though not sure how it would work in practice, unfortunately. Sorry!